Let’s demystify the smog check requirement by answering some of the most frequently asked questions about the process. It happens every year: an envelope appears in your mailbox from the DMV, telling you it’s time to renew your vehicle’s registration. Sometimes, all you need to do is pay a fee to receive your new sticker. But every so often, your renewal form will tell you that a smog check is required before you can register your car. So why do you get that message some years and not others? And why do you need a smog check, anyway? What is the purpose of a smog check? Smog checks are performed to ensure vehicles are producing safe levels of emissions. Emissions standards are determined by both the US Environmental Protection Agency and the California Air Resources Board, and are designed to help improve the air we breathe by reducing the air pollution from vehicles that creates unhealthy smog. Which vehicles need smog checks? If my car has been inspected in another state, do I still need a California smog check? Yes. When a car is newly registered in California, a smog check is required to complete the registration process. California emissions standards are significantly stricter than those applied elsewhere – although many states are now beginning to adopt our standards to help improve air quality around the country. Performing a smog check is a three-part process. A visual inspection confirms that all equipment is properly connected and that the smoke coming from the tailpipe isn’t black or white. A functional inspection reviews the vehicle’s computer and On Board Diagnostic system for fault codes or errors. 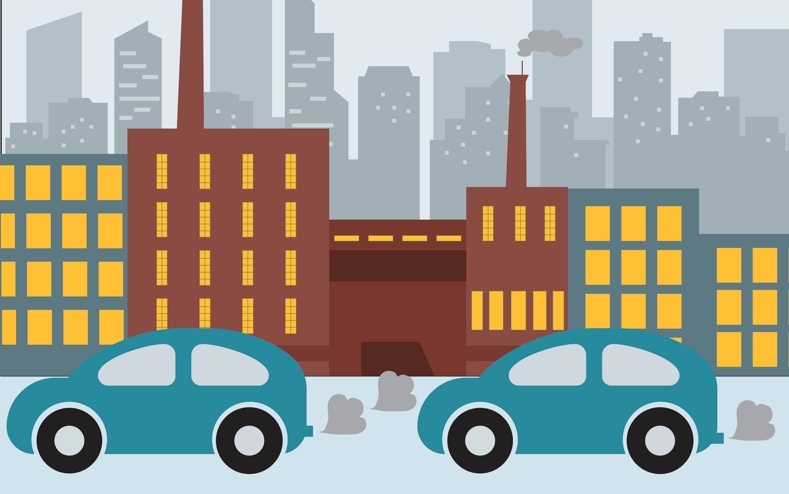 Finally, an emissions test measures the production level of certain harmful pollutants, such as Hydrocarbons, Carbon Monoxides, and Nitrides of Oxygen Oxide. At the end, you’ll receive a Vehicle Inspection Report, and the data will be electronically transferred to the DMV by your testing station. On average, a smog check should take about 20-30 minutes to complete. What happens if I fail a smog check? You must pass your smog check to register your vehicle. If your car fails, you can usually have the problem diagnosed and repaired by a licensed smog check repair technician at a licensed smog check repair station, like California Motor Works and Tires. Where is the best place to get my smog check performed? Most of the time, you can take your car to any certified smog test location. Sometimes, your registration renewal form will tell you that your smog check must be performed at a STAR station. STAR stations meet higher performance standards as defined by the California Bureau of Automotive Repair. In this case, you’ll need to find a test location that is STAR-certified. As a certified STAR test-and-repair station, California Motor Works & Tires is the ideal place to bring your vehicle for a smog check in San Diego. Our expert technicians have experience performing smog checks on both foreign and domestic vehicles, and we repair even the worst-offending polluters to get them compliant with California emissions standards. Call us at (858) 560-1245 and schedule your smog check today.